ActInvest is a Financial Advisory practice focused on helping clients to be in the best financial position they can be for their future. We believe that empowering people to take control of their investments leads to better financial, social, economic and environmental outcomes. Sarah specialises in providing investment solutions that meet the needs, objectives and ethical investment preferences of her clients. This investment approach includes applying environmental, social and governance integration, screening of companies (e.g. Fossil Fuel companies), sustainability themed investments (e.g. clean energy funds), engaging actively with companies and making impact investments. Sarah Wood holds a Bachelor of Business from the Queensland University of Technology, a Bachelor of Laws from Southern Cross University, a Diploma of Financial Planning and is the Butterworths Book prize recipient for Business Law at the Queensland University of Technology. 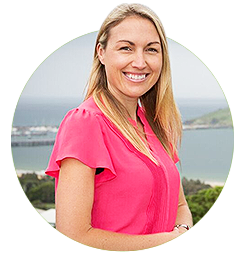 Sarah was formerly the West Australian Genxt Co Chair for the Association of Financial Advisers, is a current member of the Responsible Investment Association Australasia and is registered with the Tax Practitioners Board. Sarah has over 10 years experience in the Financial Services Industry and formed One Horizon Consulting, specialists in responsible investment financial planning advice in 2012.